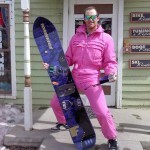 Still under funded, still completely irrelevant, still the worst show in all of snowboarding. This is another new episode of Last Week, This Week. Where can this Christian Haller Vid be seen? Here is the trailer, text says full Movie will ne online in November for free!